Save on your next flight from ABV to ROS when you book through Travelocity. Need a last-minute flight to Rosario? Travelocity offers discount airfare no matter when you book, even on popular routes such as Nnamdi Azikiwe Intl. Airport to Rosario - Islas Malvinas Intl. Airport. Whether you need a direct or indirect flight, you can trust Travelocity to provide you with the best prices for ABV to ROS flights. Top Flights from Nnamdi Azikiwe Intl. Top Flights to Nnamdi Azikiwe Intl. Explore Rosario with Travelocity's Travel Guides to find the best flights, cars, vacation packages and more! Situated in Funes, this spa hotel is within 12 mi (20 km) of Newell's Old Boys Stadium, Dr. Julio Marc Provincial Historical Museum, and Independence Park. Pedestrian Cordoba Street and Museum of the City are also within 12 mi (20 km). 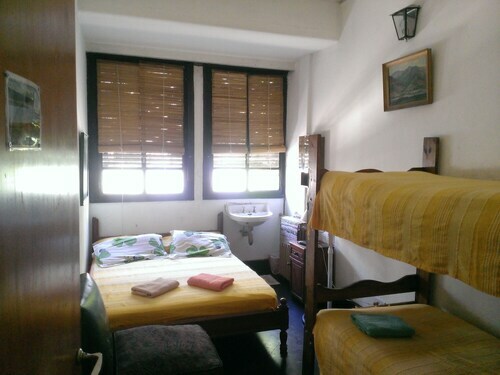 Located in the heart of Funes, this guesthouse is 11.5 mi (18.6 km) from Dr. Julio Marc Provincial Historical Museum and 11.8 mi (19.1 km) from Independence Park. Plaza San Martin and Rosario Cathedral are also within 16 mi (25 km). Situated in Granadero Baigorria, this cabin is 1.9 mi (3.1 km) from Rosario-Victoria Bridge and within 6 mi (10 km) of Alem Park and Gigante de Arroyito Stadium. Museum of Contemporary Art of Rosario and Isla de los Inventos are also within 9 mi (15 km). 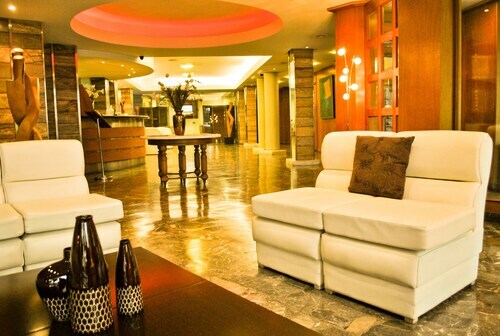 Situated in Rosario, this hotel is within a 15-minute walk of Alem Park and Gigante de Arroyito Stadium. Museum of Contemporary Art of Rosario is 2.5 mi (4 km) away. See all 60 Properties in Rosario - Islas Malvinas Intl.